We offer original and unique handcrafted angel designs for your home, family and gift giving needs. Handmade greetings cards. Here you will find cards for all ocassions - mother's day, father's day, birthday's, births and weddings. Online shop for Craft Supplies,Xstitch,Handmade Cards & Gifts.Stockists of Pink Gem Designs,Design House Papercrafts,Stitchtastic & more..
Quality handmade & bespoke cards, for any occasion, cards can be personalised to order for that special person in your life. Please visit my web site to see my cards. A hip and chic boutique for babies and children. Pacifier bibs, swaddle wraps, crib blankets, stroller blankets, shopping cart covers and car seat covers for posh babies and toddlers. Tupperware sales and service for the continental USA. Specializing in home parties and fundraisers for the Dallas/Fort Worth, Texas area. I am here to service all your Product, service and fundraising needs! Handmade cards, all unique, made with love and care. * Diaper Bags * Handbags * Totes * Stylish, Unique, Custom Handmade bags can be used as a Diaper Bag, Tote or Handbag. Perfect to give as a GIFT for a baby shower or use for yourself! Handcrafted gel and soy candles. Everything is made to order! Wax dipped bears, sachets and soap dipped petals. Soy Bath & Body products. Retail, Wholesale and Fundraiser. We also do private labeling. One stop shopping for all your gift giving needs. The fun and smiles come to you. Adorable "stuff-n-fluff" Animal and Doll Kits, Webkinz clothes, and luxurious Bath and Body products. Great for gifts, parties, fundraisers and more! Lovely items, both vintage and new, for your shabby, cottage, romantic, and rose decor, many featuring the work of artist Cherie Perry. Whimsical true vector clipart for embroidery, screenprinting, printing, painting and crafts. Great Prices! Great Selection. Special FREEBEE section too! 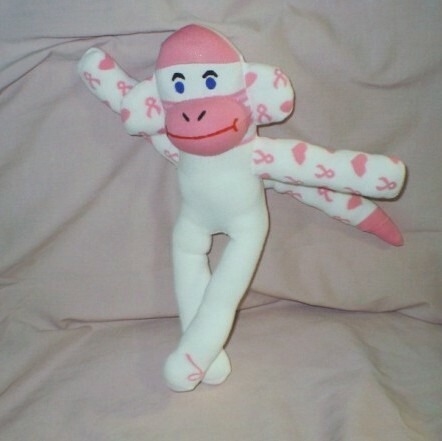 Unique hand made sock monkey dolls. "Living Green" cloth baby diapers-low cost for moms. Handmade and bespoke cards for all occasions, Jewellery and Gifts.